Pfc. John Crane, son of Mr. and Mrs. Joe Crane, attended school in Frederick; husband of the former Willie Mae Thompson. 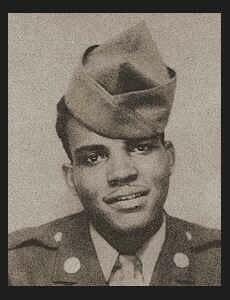 Entered Army in 1943, trained in Camp Rucker, Ala.; served in France, England and Germany. Awarded Good Conduct Medal.